Another busy week, with plenty of reviews to post, so it's going to be a two parter again. I'm going to be away next week (on holiday in America), so wanted to catch as many films as possible before I go. Tamara Jenkins wrote and directed this film, which invites us to spent a few months in the life of Vivian Abramowitz (played by Natasha Lyonne) and family in 1970s Los Angeles. 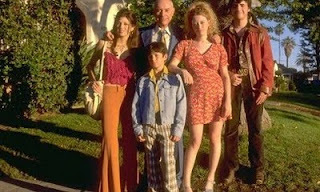 Family patriarch Murray (Alan Arkin) has decided that it is vital for his family to live in upscale Beverly Hills, so that his kids can attend the best schools - but as a struggling car salesman he finds it difficult to pay the bills. As a result his clan are often forced to move house in the middle of the night to avoid angry landlords. In order to improve their financial situation, Murray offers to take in the daughter of his wealthy brother, who has recently left rehab, but her arrival throws the family into further turmoil... As a comedy, the film is not often laugh out loud funny, but it is quirky and has a lot of heart. The cast is uniformly excellent, but Kevin Corrigan (who plays an eccentric, Manson shirted pot dealer), and David Krumholtz (Viv's long suffering brother) are particularly good value, and enliven pretty much every scene they're in. As somebody with little to no interest in Formula One Racing, I wasn't planning on watching this documentary about the life of three time champ Ayrton Senna, despite it receiving some rave reviews from the critics. However, as a couple of my friends were going along and I had nothing better to do, I thought I'd check it out. I'm very glad that I did - for my money, this may be the best film I've seen all year. Beginning with the start of Senna's F1 career in the mid 1980s, it tells a fascinating story of a great and fearless competitor, battling a great rival on the track (Alain Prost) and the corruption of the sport's governing body off it. The in car sequences are exhilarating, and watching it on the big screen you get a sense of the incredible speed of the cars, which doesn't really come across when you see the same images on TV. 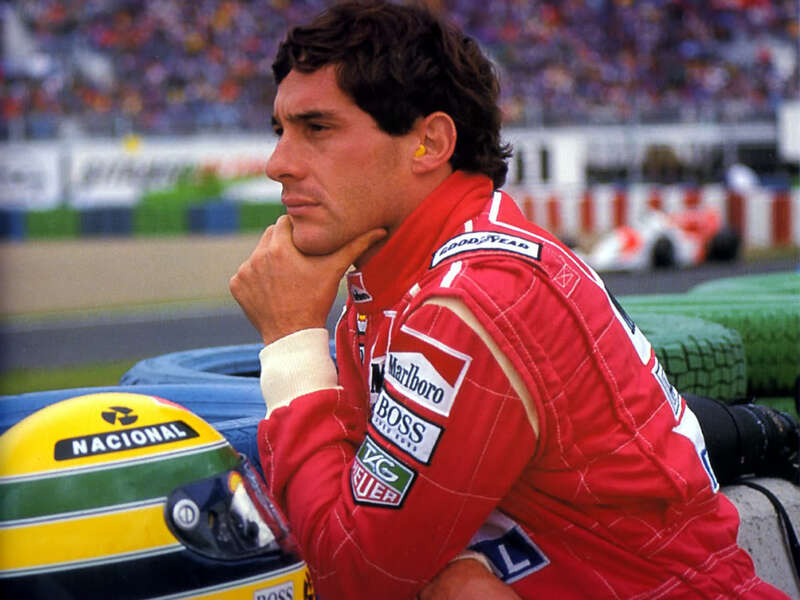 As the film moves towards the Senna's untimely death at the Imola circuit in San Marino, the sense of foreboding and dread which you feel is palpable. I also learned that during that same weekend, several other unrelated incidents took place, in which one driver (Rubens Barrichello) was seriously injured, and another (Roland Ratzenburger) died. Thankfully, safety has since been improved and Senna was the last F1 driver to die during a race. A moving tribute to a fantastic sportsman. One of Wes Craven's earliest films, this '70s horror is set in an American backwater somewhere in the Nevada desert. A vacationing family en route from Cleveland to Los Angeles take the ill-fated decision to stop off in search of an abandoned silver mine - but when their car skids off the road they're forced into a battle for survival against a family of cannibalistic savages living in the nearby hills... I know this is meant to be a classic horror movie, but I wasn't terribly impressed with this one - I've liked some of Wes Craven's later work (A Nightmare on Elm Street, Scream etc. ), but this film really didn't work for me. 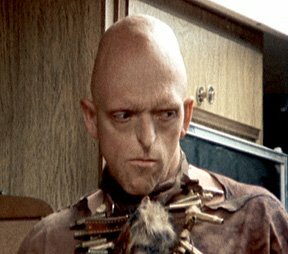 It isn't a complete failure - the tension is nicely built up in the first third of the movie, the scene in which the cannibals attack the camper van is memorably macabre, and it is refreshing to see a horror film where any there is the sense that the director isn't going to sanitise any of the violence - pretty much anything could happen. However, some of the performances (particularly by the guy who plays the holidaymakers' teenage son) are awful and there are long lulls in the picture where very little of interest happens. Despite the film's short running time, I was eagerly awaiting the finish of the movie well before it actually ended. Craven obviously shot this movie on the cheap, and it shows - it's certainly nothing like as good as John Carpenter's Halloween, a movie made on a similar budget at around the same time. A film I saw in the cinema when it first came out, and have now seen two further times, Adventureland is tremendous fun. Jesses Eisenberg plays James Brennan, a recent college graduate in 1980s Pittsburgh who is looking forward to a summer of debauchery in Europe with his friends, followed by taking his place at Columbia University in New York to study journalism. Unfortunately, his father runs into financial difficulties, meaning that James has to spend the summer working at the rundown local theme park. Despite the soul crushing nature of running the (rigged) games at the park, he does make some new friends, including a potential love interest in the outspoken Em (Kristen Stewart). The central romantic plot between Eisenberg and Stewart is both sweet and genuine, and there are a host of brilliant supporting characters - including Martin Starr's put upon intellectual, Ryan Reynolds' park handyman/ fraud, and a guy called Frigo who keeps popping up unexpectedly to punch Eisenberg in the crotch! This is a really funny film, with a brilliant soundtrack full of classic alternative rock from the '80s. I suppose to sum this movie up in a sentence, I would have to say "a less successful version of The Fly". It's not really a bad movie, and does feature some very diverting scenes, but it certainly isn't a patch on David Cronenbourg's masterpiece, with which it shares a number of similarities. (To be fair, The Fly came out six years later, so director Ken Russell can't be accused of plagiarism here). 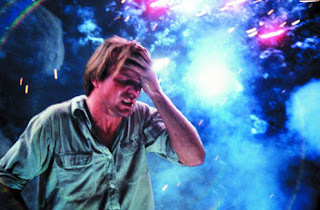 Like The Fly, Altered States focusses on the life of an eccentric scientist (played by William Hurt), whose dangerous experiments on himself lead him away from the woman who loves him. In this film, the experiments focus on a sensory deprivation tank - Hurt discovers that by staying in the tank for extended periods of time, he is exposed to troubling visions, often relating to his own lapsed religious faith and to the death of his father. Trying to get deeper into his experiences, Hurt travels to Mexico, where he obtains a psychedelic potion made from local tribesmen. By combining the potion with the effects of the sensory deprivation tank, Hurt is able regress into the mind of primitive man. There are some interesting ideas in this movie, and the scenes where Hurt experiences his visions are very powerful, but the plot of the film jumps from place to place, and from time to time without giving the viewer much time to adjust and the movie doesn't quite hang together as a whole.